Beautiful composition and very sharp. Gorgeous Junko -- it's a fantastic capture! I like how you've chosen a 'clean' version. Instant fav! I posted a totally different one from the day. 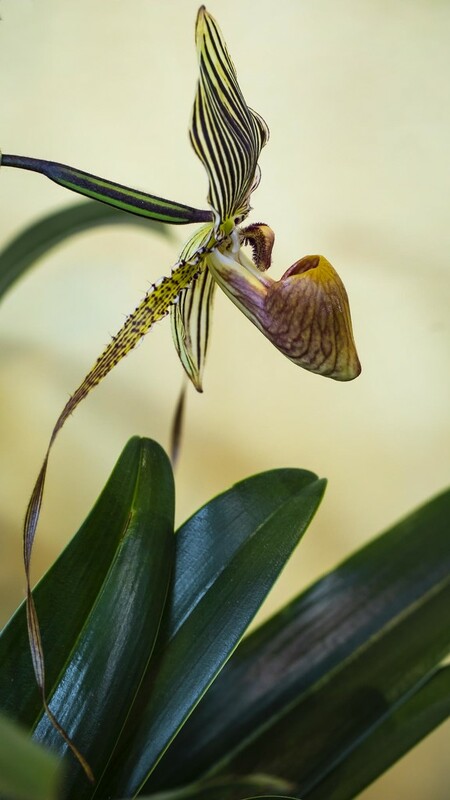 that is a beauty of an orchid - each aspect has different patterns and colouring. Wonderfully sharp and focussed with a lovely background yellow.